I know Shane Jones. I like Shane Jones. I don’t want to seem like a sycophant, but I’d be lying if I didn’t admit that I admired him. I disagreed with much of what he said, sure, but I recognised a commanding Maori leader. 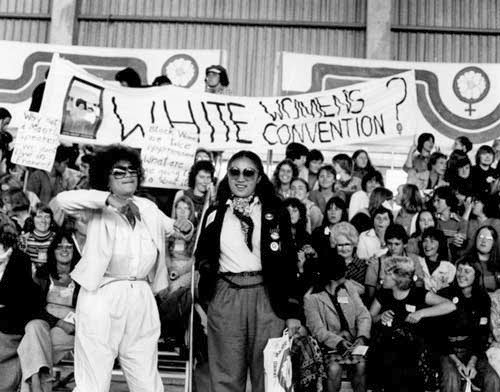 Here was a man – and I’m deliberately using gendered language, but more on that later – who understood the Maori experience and the Maori condition: our idiosyncrasies, language, literature, history, philosophies, spiritualism and our politics. And that’s what set Jones apart. In that respect, he was above the Maori leaders of his generation. He was the successor to Ngata’s legacy. It’s probably because he was a student of James Carroll. Both men appreciated that Maori society is always adapting tradition to modernity. Carroll took that to mean integration into and imitation of British political institutions. Jones took that to mean integration into and imitation of Anglo-American capitalism. It’s said that Maori walk backwards into the future. History is closer. Jones knew this better than many. I think it’s what influenced his political thinking and practice. It’s the reason he favoured integration on Maori terms – he was drawing on the wisdom of experience, as he saw it – and the reason he valued oratory. He traced his political descent down the same line as Carroll, Ngata, Couch and Peters. Shane was a model of these Maori men. He drew on their strengths, but he also inherited their weaknesses. Shane inherited the prejudices of the likes of Carroll, Ngata, Couch and Peters. These were conservative men who didn’t care as much for other marginalised groups. Take Apirana Ngata. He was an Anglo-patrician who believed in a racial hierarchy. Although he committed his entire being to Maori, he was not open-minded on today’s standards. I’m not saying Jones’ believes in racial hierarchy, but that he inherited blindspots from his predecessors. It’s those blindspots that make Shane a social democrat, but not a liberal. That was a cause of tension, stress and confusion on the left. Labour was always his default home, but I don’t think it was ever his proper home. Shane was socialised into politics off the back of, for lack of a better term, the old left. His introduction to Parliament and the Beehive was while working for Geoffrey Palmer in the fourth Labour government. He would've been a better fit - ideologically - in the Maori Party. He might've had a more successful career in National. This meant he was neither perfect for Maori nor perfect for the left. (But perfection is a false chalice, yet that didn’t stop many from demanding it). The attacks against women were uncalled for and wrong. The struggle for gender equality shouldn't and can't be divorced from the struggle for ethnic equality. Equality works best when it's equality for the whole and not the parts. I think many of Shane’s Maori supporters were always willing to recognise that. Yet his opponents rarely acknowledged his significance for Maori and in Maori political history. His place in Maori politics and Maori history was ignored. That was a telling signal to Maori - a people who revere the past and always try to fit their thinking in it. Shane worked because he understood this. He knew what made Maori tick, though it was always undermined by the faults of his political line. But what was worse – and very neo-colonialist – was being told to wait for someone better. That moment had too much in common with when the radical left realised tino rangatiratanga meant ownership and then Maori suddenly became the new bourgeois. I’ve said it before: Maori politics doesn’t sit apart from the political spectrum, but below it. At least the political right doesn't pretend to be a false friend. Maori political history isn't rich with choice. Telling us to wait for a more "progressive" candidate is deeply offensive. Maori have waited too long for too little. Shane was an opportunity and one many - including myself - were willing to back. He wasn’t perfect, but he was as close as we’ve come in more than a decade to the centre of power. Winston was the last Maori politician to come close to real power. It’s been a century since Maori actually touched it (Carroll as acting prime minister). Forgive us for working with what we have. Shane was always good to me. I don’t base my politics on how well politicians treat me, but I believe he was a good man with honest intentions. That’s more than I can say for a lot of politicians I’ve met. I wish Shane all the best. But I’m mourning what he represented and what appears to be, for now, a loss of meaning in Maori politics. Who carries the tohu of the likes of Carroll now? Is that political line broken? After all, Parekura has gone. Tariana is leaving. But who is coming through? Dotcom’s dollars are off limits, but money from privileged Auckland isn’t? Donations arrive attached with expectations of reciprocity. The Prime Minister will expect a return in loyalty. The donors will expect their interests to be represented in Cabinet. To think otherwise is deliberate ignorance. Donations are made on the basis of self-interest and shared identity. But does the Maori Party want to be the party of privileged Auckland? The Maori Party doesn’t just suffer at the hands of racists, but at the hands of Maori leftists and separatists too. At times it seems like the party is fielding unjust criticism from all sides. But this isn’t one of those times. The party has played into the central criticisms others make: that it's drifted away from the people. Sure, a fundraising dinner at the exclusive and prestigious Northern Club is far removed from the lived experience of most Maori. But the real story is how political fundraising compromises political independence and political values. Politics doesn't happen in a vacuum. How you practice it- and, importantly, who you practice it with - is loaded with meaning. I’m not accusing the Maori Party of selling out. That’s too easy and it tells us nothing about the complexity of their situation. What I’m accusing the party of is saying one thing while doing another. There’s the hypocrisy levelled at Hone Harawira, but there’s also a deeper contradiction. The Maori Party argues it's neither left nor right - it’s Maori. Pita Sharples is no social democrat and Tariana Turia isn’t a classical liberal, sure, but that doesn’t mean they can retreat from the political spectrum. They are part of politics as usual. Not as a matter of ideology, but circumstance and practice. You can’t claim to be separated from mainstream politics when you sit in Parliament with a ministerial warrant. You can’t claim to be above mainstream politics when – as Patrick Gower put it – you’ve adopted the National Party fundraising model. This speaks to the unsteady, unsure ground Maori politics exist on. Maori experience a sort of double reality. We experience politics as both New Zealanders and Maori. This dual reality causes angst and havoc in Maori politics. Where does the border begin and end? How do political parties naviagte two competing worlds? Is it even appropriate to distinguish instead of integrate? The trick is to acknowledge that and be very clear – for the sake of your own integrity – when and why you’re moving between the Maori political world and the world of rightwing wealth. Especially when the world you’re emigrating to is so far removed from the reality for most Maori. The Maori Party is based on an appeal to our collective purpose. Yet it works so hard to undermine it. They can enjoy nice food and cavort with whoever they like. After all, the Maori Party is about establishing kaupapa Maori politics. It can help establish new social norms if it likes too. But it should recognise the consequences. A democracy is a country of competing interests and competing powers. Maori are no longer content to be the weakest. The Maori Party is testament to that. But their approach to progress has been ineffective and - as of yesterday - quite stupid. They didn't do anything wrong, but they're not doing much right either. "The Government is rejecting suggestions Maori are being unfairly targetted in the police or corrections systems the Maori Party co-leader Te Ururoa Flavell has described as institutionally racist. A visiting United Nations delegation says the Government needs to investigate why a systemic bias against Maori is evident in the country's criminal justice system. The delegation, which reports to the UN Human Rights Council, says any bias against Maori leading to their incarceration more than other New Zealanders constitutes arbitrary detention and is illegal under international law. 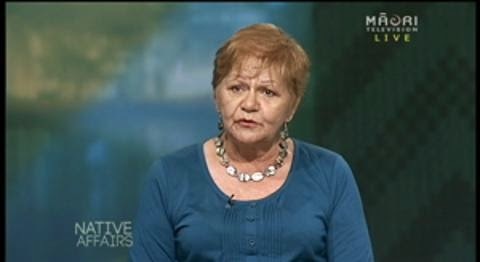 Police and Corrections Minister Anne Tolley says she has seen no evidence of institutional racism in either police or Corrections. "Quite the reverse in fact; there's a lot of work going on. The police are turning the tide and we're very impressed by that work and of course in Corrections the work that's going on to reduce reoffending." It’s easy when you have the privilege of detachment – and, of course, the authority of objectivity – to deny that racism exists. But even then, Tolley’s remarks are neither a full denial nor a proper admission. Her response is bureaucratic: “the police are turning the tide and we’re very impressed by that work”. What does that even mean? If the police “are turning the tide” is that an admission institutional racism did exist? Or is “quite the reverse” a denial that institutional racism ever existed? Does it matter? Unfortunately it does. 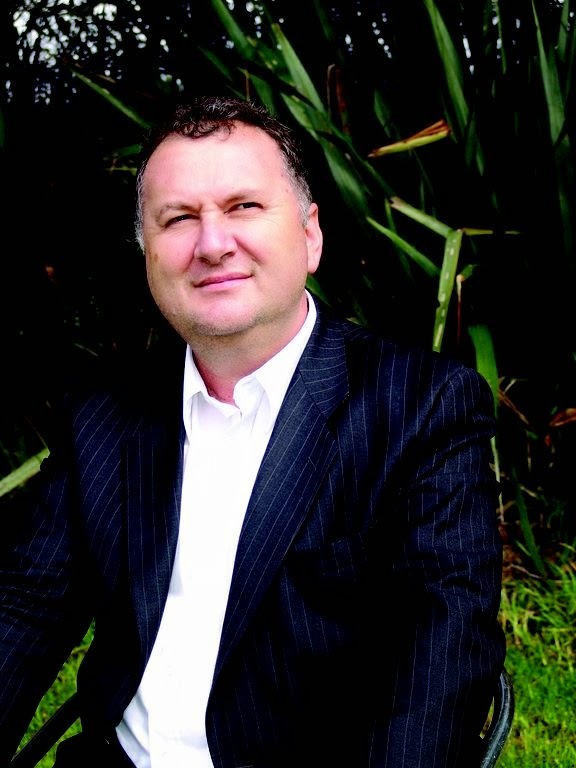 Tolley’s position doesn’t change the facts: Maori adults are 3.8 times more likely to be prosecuted than non-Maori and 3.9 times more likely to be convicted of an offence. Maori young people are more likely than Pakeha to be apprehended and prosecuted for committing the same offence. This is the reality of the racial hierarchy: the apprehension, prosecution and conviction gaps. But add the health, wealth, education, employment and housing gaps too. But if Tolley denies that this is the product of institutional racism, she doesn’t have to do anything substantive about it. Her response can be bureaucratic: we are doing [insert glib policy] in hope of achieving [insert rosy outcome] for [insert folksy platitude]. Tolley’s position is profoundly ahistorical. Settler colonialism is based on the denial of indigenous systems and culture. You can’t complete the colonial project – namely to import the capitalist economy and recreate the architecture of liberal democracy - while allowing an indigenous system to co-exist. The New Zealand experience is no different. In the 19th century Maori were invited to assimilate under the Treaty. In 20th century New Zealand Maori have been invited to integrate under the Treaty settlement process. But under neither regime were Maori offered full membership of the state. Institutional racism made assimilation and integration conditional - sovereignty had to be transferred, discrimination tolerated and wrongdoing (eventually) forgiven.